Here’s a fairly old Microman figure I got off Mandarake. The Micro Sister series from Takara’s Microman line brings a new base body that is even smaller than the average Microman figure. This series contains female figures with many accessories which use a 3mm port to allow for mixing and matching of weapon combinations. 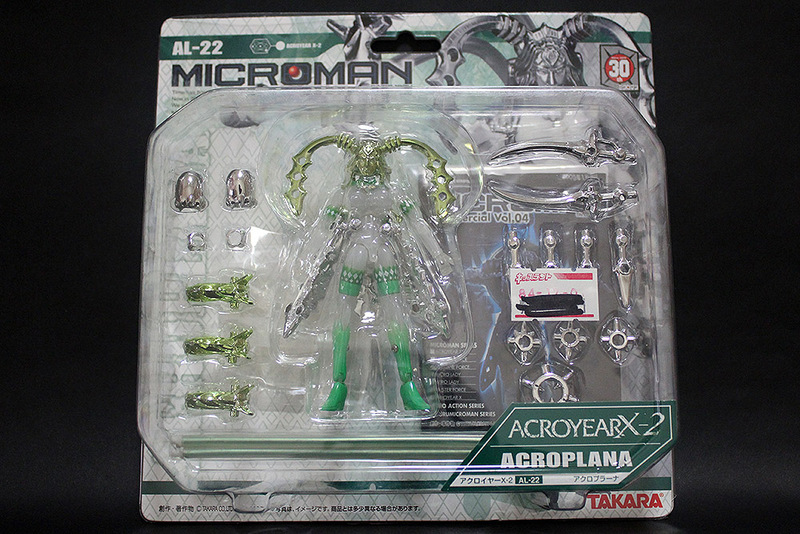 Long name aside, Takara’s Microman series is a long-running toy line of which its history has some relation to other, more familiar action figure lines. In the 2000’s, before the introduction of Revoltech, Figma, SH Figuarts or even newer Souchaku Henshin series, Microman was probably considered the de facto standard for highly-articulated action figures. Sadly, it has since been overtaken by these toy lines which offer comparable poseability, licensed characters and superior (or more consistent) quality.